On and on go the pages of despair written in red ink. FAST FORWARD 9 YEARS: That’s how long it’s been since I got on the road to freedom – leaving the debilitating pain that left my life on hold for almost a decade, behind me. 2017 is going to be my 10 year anniversary of freedom! Yay! But that’s not the end of the story. Because you know what, all that suffering back then – it didn’t need to take a decade for me to get better, if only I knew then what I know now. I had to step back from work for a good chunk of time due to a prolonged and massively challenging family emergency. In the midst of it all something happened that completely knocked me..
EVERY PAIN I’d ever experienced returned AT ONCE with an intensity that meant I could barely move, apart from breathe, without painful feedback. 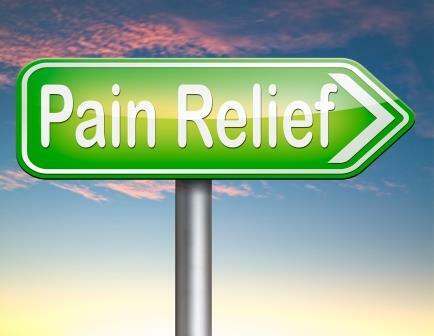 I had been expecting that all the stress might take its toll but this: I had sciatica down my legs, sudden electric nerve firing sensations in my lower and middle back, pelvic and abdominal burning, inflamed knuckles, toe joints, ankles, knees and spine. To top it off I also had a migraine. Yikes! But this was different from all those years ago when I felt helpless. This time I had the power - I had the unshakeable belief I would get better. I put myself through the Break Through Pain Programme that I’d created and been set to launch earlier in the year. Now of course I’m really familiar with all the stuff that’s in there so I was able to fast-track myself through! With everything I already knew about pain biology, I allowed myself to believe that I’d probably get better sooner than I might think. What happened next however, was simply astounding..
24 HOURS LATER I was able to walk fine. 48 hours later, everything had eased and I was able to RUN (for a bus)! Ok so I’ve come a long way…from suffering all that time ago for almost 10 years, to using what I know now to help myself within 2 DAYS. This recent episode left me with the certainty that I need to share my knowledge with those that need it most. Anyone suffering with pain deserves the freedom and peace, and multitude of beautiful emotions I’m feeling right now writing this. So my Break Through Pain Programme starts in January 2017. (I am really excited)!! It’s not for everyone and I have limited places available, which means I can only take people on that are absolutely ready. If you can't find an available time that works for you, you can either CONTACT ME HERE or feel free to phone me on 020 8798 3571. I look forward to hearing from you! Please share this post with anyone you think may benefit or by using the social share buttons below.